This is an update to an earlier blog that I wrote: “Is It a Good Time To Buy a New Home in Boise?” I just read an interesting Reuters report that I suggest reading to. It is talking about U.S. new home sales dive to an eight-month low in March 2014. Before you go there, let me put this in some local perspective. Retuers is reporting contracts to purchase and sell in March 2014 not closings. They are also new homes. They will close in weeks and months to come. In Ada County in March 2014 compared to March 2013 5.23% less homes were sold (closed). But in April 2014 as of today (4-23-2014) our trajectory is going to put us at a estimated 644 closings compared to 580 in March 2014 and 612 in March 2013. In April 2013 Ada County had 794 closings. 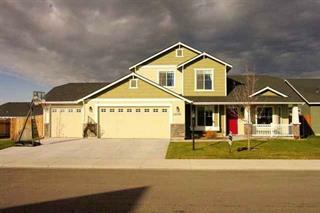 (Intermountain MLS). So it looks like we are going to have more sales this month than last but fewer compared to 2013. This is in line with the Reuters report although different data. There are a few things to consider. To repeat, the Reuters report is just new home sales and are across the country. The numbers I gave are total home sales in Ada County. In 2013 at the beginning of the summer we started out with a boom and most Real Estate Professionals expected an up year. But in early summer 2013 interest rates spiked. Builders had jumped the gun and started building again. Home sales fell flat and sellers were frustrated. The Reuters report reported that last year to this year to date new home prices are up 12.6%. That is new homes again. In South West Idaho this last year different areas even within close distance had much different experiences. Different price ranges have come back (or not) at much different rates too. The lowest priced homes have raised the most. The highest priced homes have raised the least. Until recently Canyon County and Kuna really lagged behind Boise and Meridian. Realtors® have proven to be no better fortune tellers than anyone else. Past performance does not ensure future performance. The fact is however, that smaller, modest homes have risen in selling price considerably more than higher priced homes. I think Ada County homes are stabilizing. Canyon County and Kuna area homes are selling faster and for more than a year ago. The 0ld saying that all “real estate is local” is really evident in South West Idaho this year. For people wanting to sell a smaller home and move up this could be a good summer to do it. For those who want to downsize it might not be so good. If you are interested in finding out what your home is worth please call one of us listed here. We would love to help you. Comments are welcome. This is a follow up to http://www.boisemeridianrealestate.com/blog/is-it-the-right-time-to-buy-a-home-in-boise.